Miremba’s father neglected her. He spent most of his time drinking and spent all of their money on alcohol. He would even sell off household items to buy drink. By the time Miremba was 14, her father had stopped paying her school fees and was no longer supporting the family. Worse still, he was violent and Miremba was often beaten by him. No longer able to attend school, Miremba left home to look for work. For a girl aged 14, it was a tough two months before an outreach worker identified her and invited her to join our partner’s vocational training centre. We supported her training and intervened to ensure the abuse and neglect by her father didn’t continue to damage her family. But it was Miremba’s determination and strength that has got her where she is today. 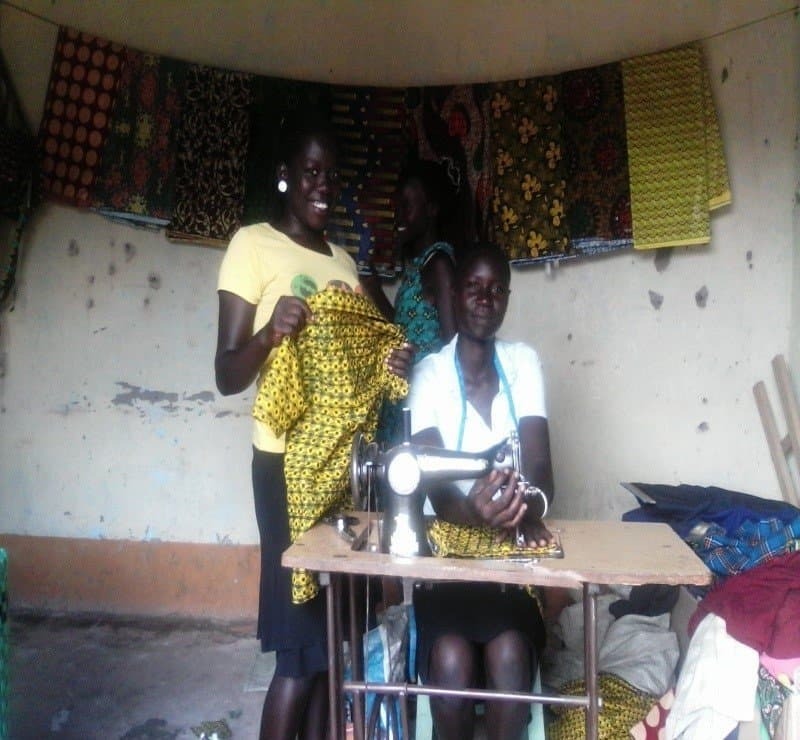 Miremba was able to join a tailoring course and enjoyed her time learning at the centre. When she left, she scraped together enough money to buy her own sewing machine. It wasn’t easy, but Miremba was determined to become self-reliant and start making an income for herself. She now earns up to £60 a month and can provide for herself!